The majority of people who visit the Seychelles tend not to venture too far from the 43 Inner Islands, which are home to 99% of the population and the country’s largest cities. Most of the Seychelles’ tourist and cultural facilities, and arguably its most beautiful beaches, are found on the Inner Islands. The main inner islands are Mahé, La Digue and Praslin. All of the Inner Islands are within a 100 km (62 mile) radius of the main island of Mahé. The Outer Islands are mostly uninhabited but offer great opportunities for sailing, diving and observing wildlife. To visit them you’ll need to "island-hop" by boat or private aeroplane. Two of the outer islands, Alphonse and Desroches, offer luxury accommodation. 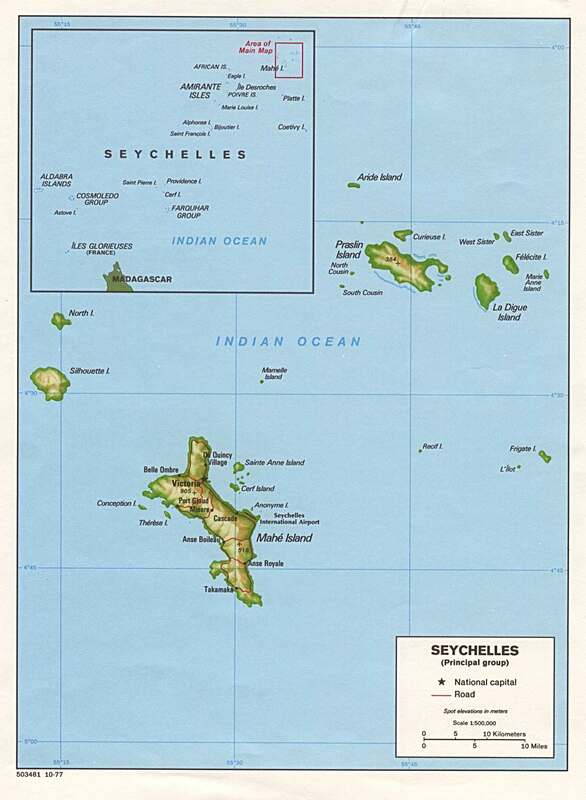 For administrative purposes the Seychelles are divided into 25 districts. For your ease and convenience however, we’ve organized our directory into five regions, which includes the three main islands followed by the remaining Inner Islands and then the Outer Islands. Mahé is the largest island of the Seychelles. It is also home to the capital Victoria, the Morne Seychellois National Park (the highest peak on Mahé, Morne Seychellois is found here) and the Seychelles International Airport. The forests of Mahé are home to some of the world’s most unique plants including the carnivorous Pitcher plant. You can get around Mahé by renting a car, hopping into a taxi or by riding the Island buses. Whether it’s climbing Morne Seychellois, exploring the tropical jungle, snorkeling the crystal blue sea or lounging on the beach while the waters of the Indian Ocean lap at your feet, you won’t run out of things to do. The hub of activity, Victoria, is located on the northeastern part of Mahé island. A clock-tower modeled after the Vauxhall Clock Tower of London is a popular tourist attraction as are the Courthouse, the Victoria Botanical Gardens, the Victoria Natural Museum of History and the Sir Selwyn Clarke Market. You definitely can’t miss out on the brightly colored fresh fish and fruit markets in Victoria. La Digue is the fourth largest island in the Seychelles and home to roughly 2000 people. The automobile is traded in favor of the bicycle to get around on La Digue. Teeming coral reefs, beautiful sunsets and the simple relaxed nature of La Digue makes it the ideal location for your intimate ceremony. Praslin was number three on the Top Ten List of Africa’s best beaches in 2013. It is the second largest island in the Seychelles. Praslin is home to the idyllic Vallee de Mai (May Valley) Nature Reserve which boasts the world’s most undisturbed palm forest. Coco de mer, a palm plant which has the largest seed of any plant in the world can be found right here. Just like Mahé, activities on Praslin abound. Getting to Praslin from Mahé by air is a short 15 minutes. Scheduled day excursions allow you to explore Seychelles’ smaller islands, which shouldn’t be left out of your plans. Island hopping is very efficient with your choice of air or ferry service in between islands. Highlights include Silhouette (the third largest island in the Seychelles and one of the most important in terms of biodiversity), Denis (popular for fishing, windsurfing, sailing, swimming, snorkeling and kayaking) and Bird (the most northerly island, famous for being the home of the world’s largest giant tortoise and a nesting site for turtles). Most of Seychelles’ Outer Islands are located hundreds of kilometres to the South West of Mahé and can only be reached by boat or private aeroplane. Highlights include Aldabra Atoll (the largest raised coral atoll in the world and a UNESCO World Heritage Site), Desroche (listed in Forbes Top 10 Remote Destinations in the World) and Alphonse Atoll (where you can see Sharks, rays and baraccuda whilst diving the wall of Alphonse). Only two of the outer islands, Alphonse and Desroches, offer luxury accommodation. 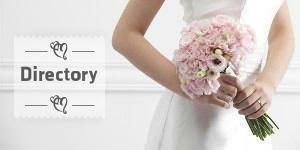 Find out more about getting married in the Seychelles in our Seychelles Wedding Guide or browse our Seychelles Wedding Directory to start planning your dream wedding.